Even though social media is so popular, we have noticed that it was getting more and more difficult to get people to LIKE our client’s Facebook page and to actually engage in the posts. Through Facebook advertising we were able to have major increases in activity over a relatively short period of time. 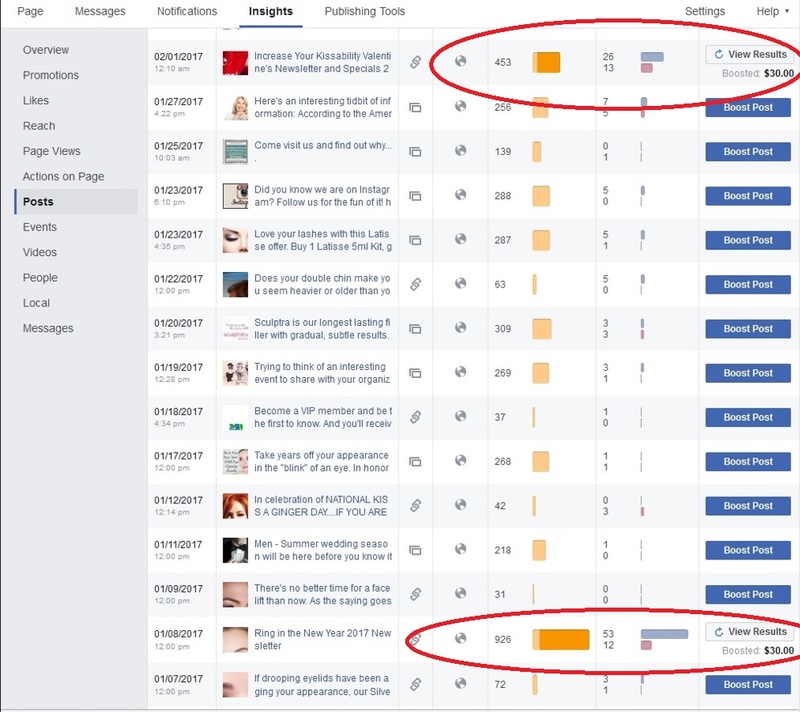 In the case study below, see how we increased the number of people reached and the number of page LIKES with a $30.00 investment. Promotion ran for 7 days targeting men and women 18-65+ who lived in Metro Atlanta. We also targeted people who had certain interests such as beauty enhancement, fashion, health, etc. In this post we reached 819 people, had 38 engagements and 7 new page LIKES. Dr. Brian Maloney at Maloney Center in Atlanta, GA agreed to increase his budget and run the promotion for one week each month. Each time we boosted his Facebook page or post, he dramatically increased patient engagement and new LIKES. In the chart below, see how he sometimes doubled his engagement numbers over other posts that were not boosted. 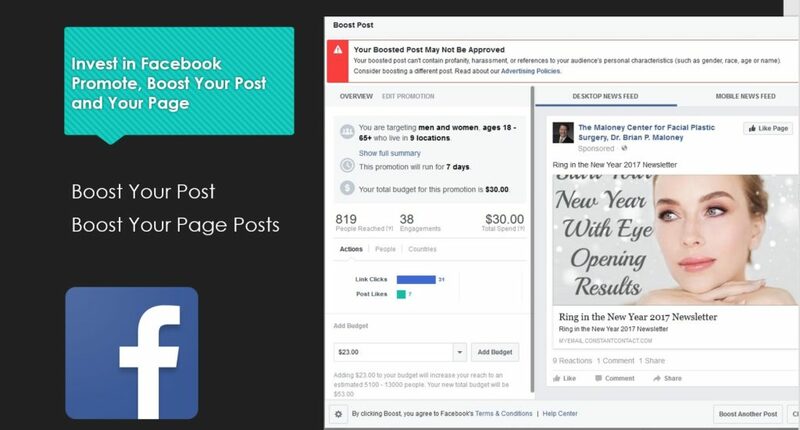 Using Facebook advertising can ultimately increase the success of your page and increase activity with new potential patients. Our social media advertising services allow you to leverage the most cost effective and targeted form of advertising available today. Generate immediate results utilizing our proven method of running and managing your social media at a fraction of the cost it would take using one of your inexperienced staff members.